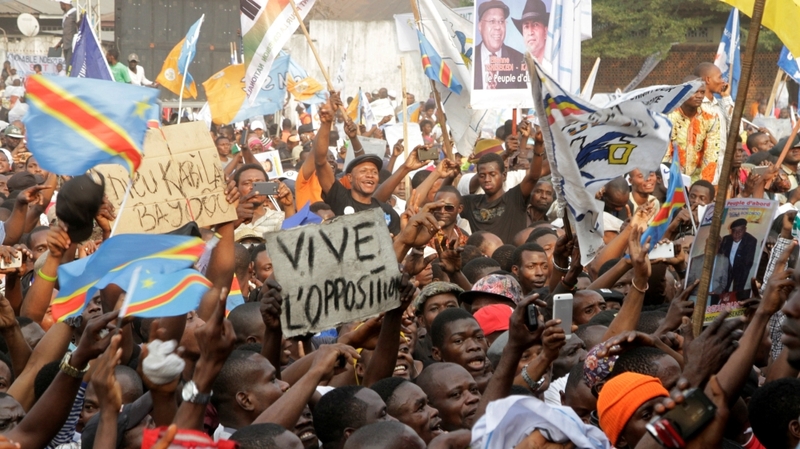 A second day of opposition-led strikes will rock the Democratic Republic of Congo today. The country’s patchwork opposition are united by their desire to see President Joseph Kabila step down. Last December, Kabila signed a deal saying he would do just this by holding elections (which he wouldn’t contest) by the end of 2017. Today’s strike comes days after 15 people were killed in clashes with security forces. A further 50 were killed on Friday in the country’s southeast; the central African state is once again teetering on the brink of widespread violence. In response, President Kabila’s allies are calling for a state of emergency. Mr Kabila has repeatedly cited ongoing instability to postpone elections; a declaration of martial law would fit this pattern, allowing him to void last December’s deal and extend his 17-year reign. For now, it appears the government has taken a half measure. Authorities have instructed telecommunication firms to slow the internet to prevent the sharing of “abusive” images on social media ahead of today’s strike.